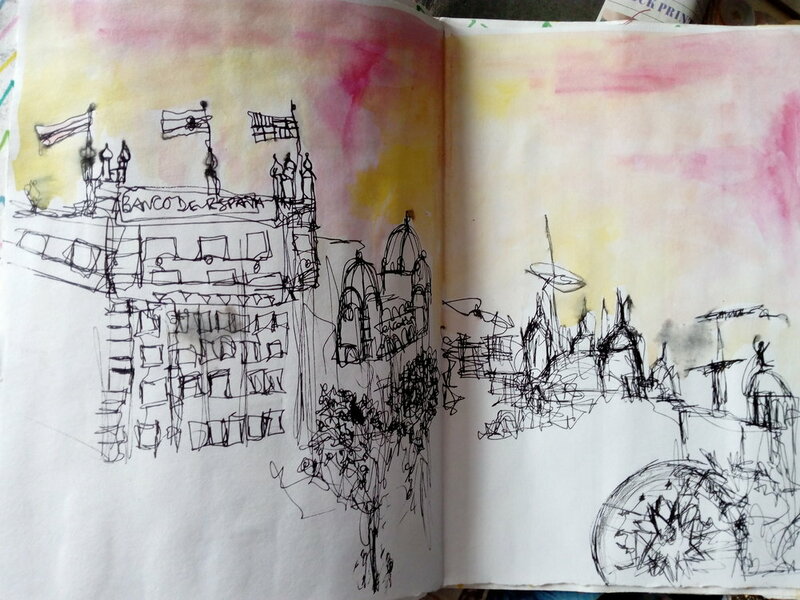 Currently I’m a full-time art teacher at a British International school in Barcelona, Spain. I’m constantly inspired by the city’s architecture, street art, galleries and the Mediterranean way of life. I studied BA (hons) Printed Textiles and Surface Pattern Design at Leeds College of Art and my personal work is inspired by many things such as travel, calming walks along the sea coast and I’m especially inspired by textures and patterns found in nature and the decorative arts. I enjoy working with mixed media, combining mediums such as textiles, watercolours, printmaking- lino cut and screen-print, collage and photography. I love to layer images together and play with bright colours and different shapes and patterns in my work. 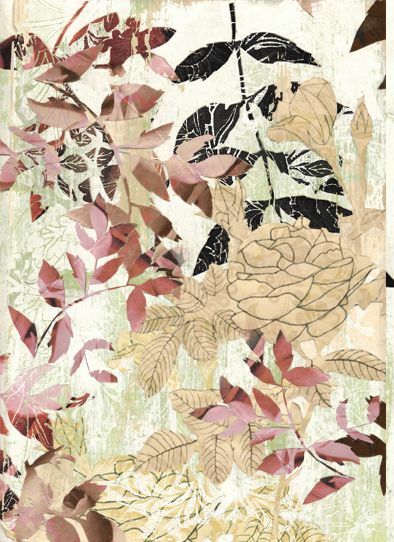 I have started designing some new mixed media botanical prints that I would like to sell at local markets and online. I also enjoy photography and would like to experiment more with creating some cyanotype prints from my photographs of the beautiful welsh landscapes, taken recently over the Easter holidays around my hometown of Swansea. I often find it difficult to focus and finish projects however and have found it difficult to balance my school work with personal work. 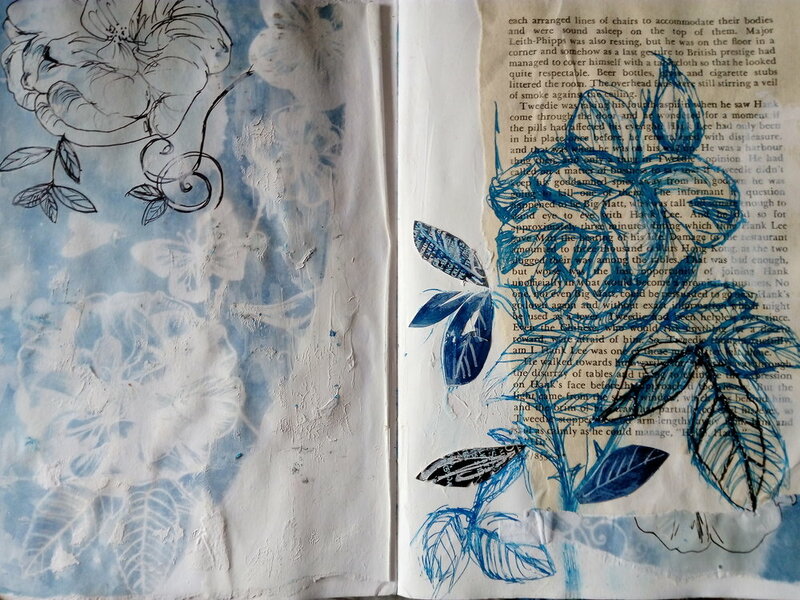 I’m currently enjoying playing with ideas and developing a visual dialogue with other artist teachers in the sketchbook circle, which is a great source of inspiration. It has helped me to think more about how I can use my time better to be more creative and productive and pushes me to try out new ideas. I always find the initial stages of a project quite daunting and some days ideas just pop into my head and other days I struggle to get inspired by anything at all. I sometimes like to create creative constraints such as a weekend hashtag project on instagram that sometimes helps develop a sense of focus, I love instagram and am a bit addicted if I’m honest! I often find inspiration from the lessons I teach and from my students and the work that they produce. When working on my sketchbook I am quite spontaneous and don’t worry too much about making mistakes, the mistakes often lead to new ideas and unexpected outcomes. A sketchbook of course...I am always collecting new materials and tools and a recent purchase was a Windsor and Newton Cotman watercolour travel set and since I bought it I don’t think I could live withut it!. I also have some good quality coloured pencils and mix these with my fine liners and posca pens. I like collage too and enjoy mixing materials, I have a huge stash of different papers and fabrics that I’ve collected over the years! What do you search for, for creative inspiration? I am very lucky to be living in Barcelona, surrounded by beautiful architecture and art. I visit local galleries and museums as often as I can, to search for inspiration for my own work and the lessons that I teach. I recently visited Casa Vicens by Gaudi, the first home that he designed in 1883, and I was especially inspired by the bright glazed ceramic tiles of floral carnations that covered the building and how he merged many different cultures from around the world into the design of the summer house. I also recently visited the William Morris arts and crafts exhibition at Museu Nacional d’Art de Catalunya and admired the depth of colour and detail in his designs. I enjoy exploring the rich culture of Spain and find inspiration everywhere, I really look at stuff! I am inspired by the Moorish decorative tiles or discovering different species of Mediterranean plants and trying to grow them (unsuccessfully!) on my terrace. I also enjoy collecting old postcards and maps and browsing flea markets. I also look back home to Wales for creative inspiration, and Welsh artists such as Glenys Cour, Michelle Scragg and Katie Allen are inspiring and I love the moody landscapes of the Gower.